The great thing about this recipe is that I can keep almost all of the ingredients in my desk or the work kitchen pantry, so I never have to remember to bring my breakfast each day. 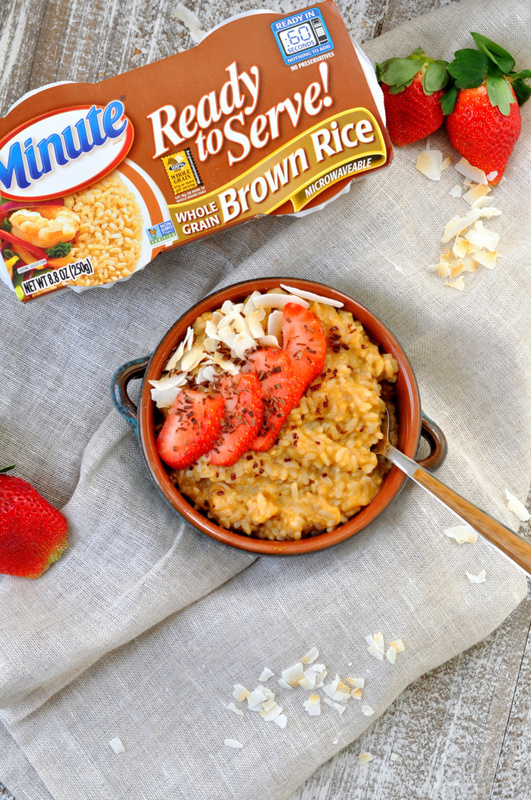 Start with Minute® Ready to Serve Whole Grain Brown Rice and add a few extras to make an amazing breakfast. Plus, the Minute Ready to Serve Brown Rice is 100% whole grain, gluten free and has no preservatives. The little cup is the perfect size and provides easy portion control. It’s great to take with you and eat it on the go. With these single-serve cups you have built-in portion control and an easy, wholesome meal addition or snack that you can feel great about. The cup and film are both BPA free, and the rice is ready in just 60 seconds. You can’t mess it up because it’s already cooked! 1. Remove plastic cover from Minute Ready to Serve rice container. Microwave for 60 seconds. 2. 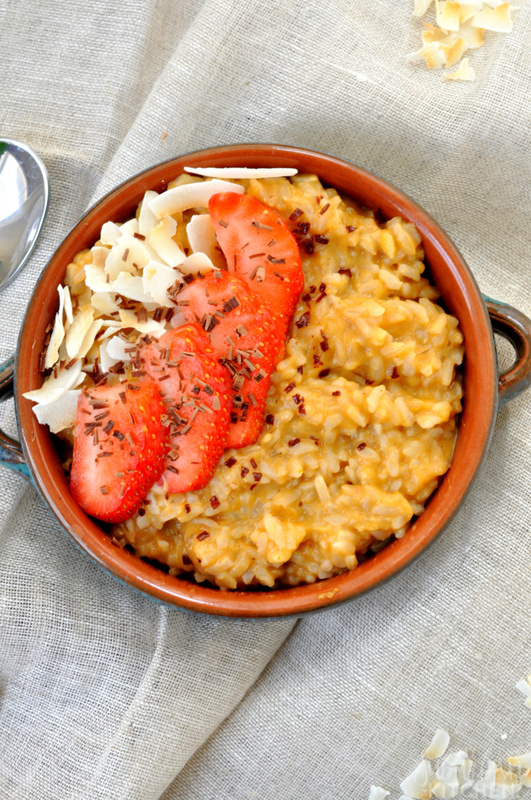 Combine cooked rice with pumpkin puree, mashed banana and milk. Stir well. Top with toppings of your choice and enjoy! 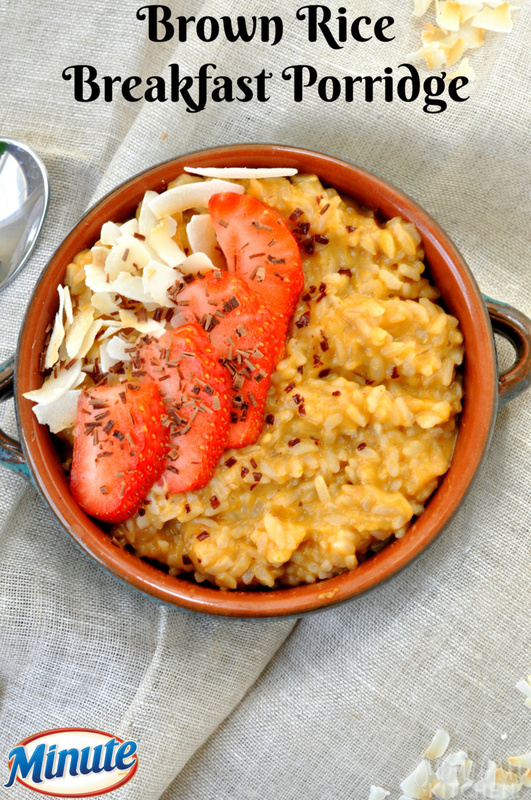 I vary the toppings for my brown rice breakfast porridge based on what I have on hand. A lot of times, I use the other half of the banana that I mashed to mix in and then some nuts and coconut chips. 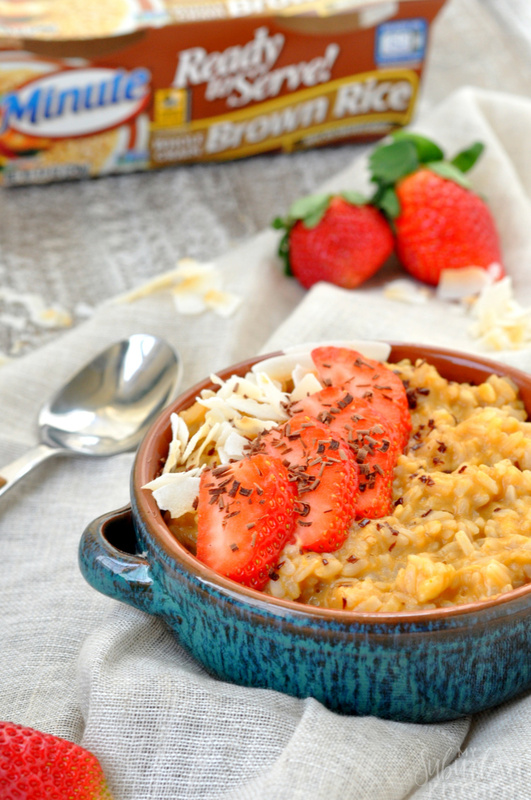 It makes it so easy to have a wholesome, hearty breakfast without a lot of time or effort. 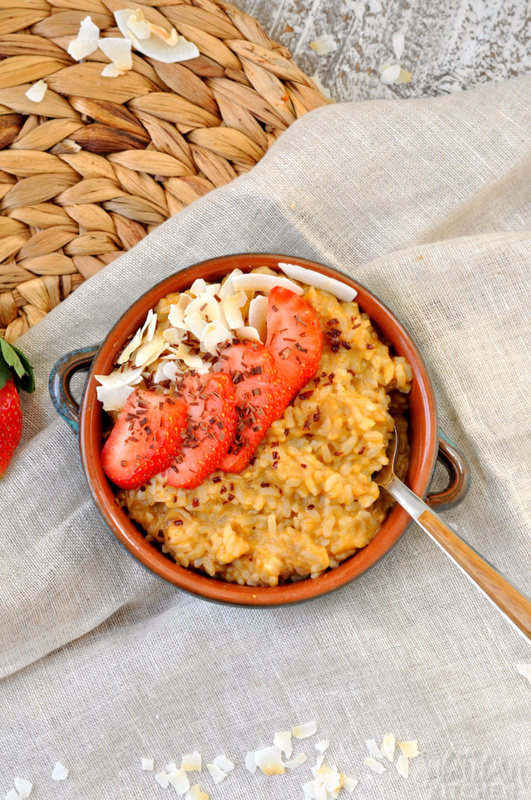 What are some of your favorite ways to make sure you eat breakfast each day? 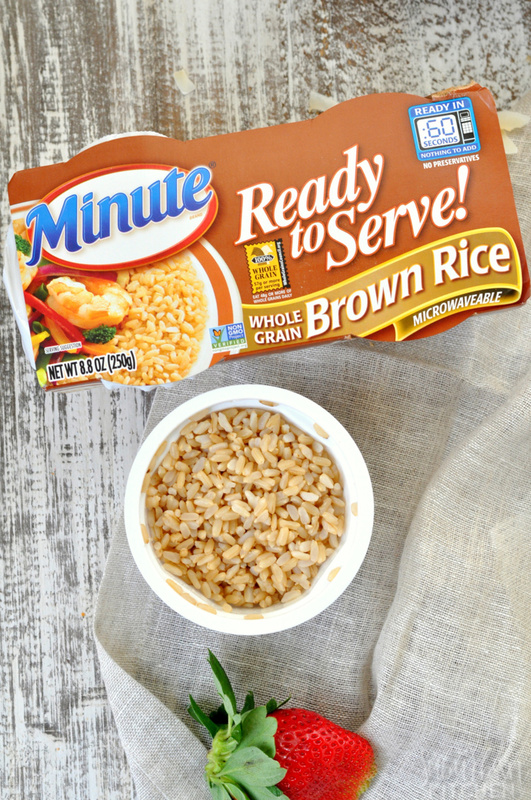 Have you tried the Minute Ready to Serve products? In addition to the brown rice variety I used, they also have Minute Ready to Serve Brown Rice & Quinoa option which would be scrumptious in this recipe as well.